Ariel is a sixteen year old mermaid princess. She lives, of course, under the sea, with her father – King Triton and her sisters. She longs to escape the sea and live on land like the humans do. She explores ship wrecks, with her sidekick, Flounder, and finds human artefacts, which she takes up to the surface to show her friend Scuttle, the seagull, who helps identify them, with ingenious names like the dinglehopper (a fork, which is used like a comb); and the snarfblatt (a smoking pipe, which he says humans use to make music). Ariel ignores the warnings about the human world from her father, her sisters, and the King’s advisor – Sebastian the Crab – she’s quite the rebellious teen! One evening she visits the surface to watch a celebration for Prince Eric’s birthday, which is taking place on a ship. During the party, a storm breaks out, sinking the ship. Ariel saves Eric, and takes him ashore. She sings to him, but as he regains consciousness, she heads back into the water to save herself from being discovered. Fascinated by the sound of the mystery girl’s voice, Eric vows to find her. Meanwhile, Ariel vows to be part of his world. Sebastian sings her a song to show her how awesome living under the sea is, but she leaves before it ends to go and visit Eric. 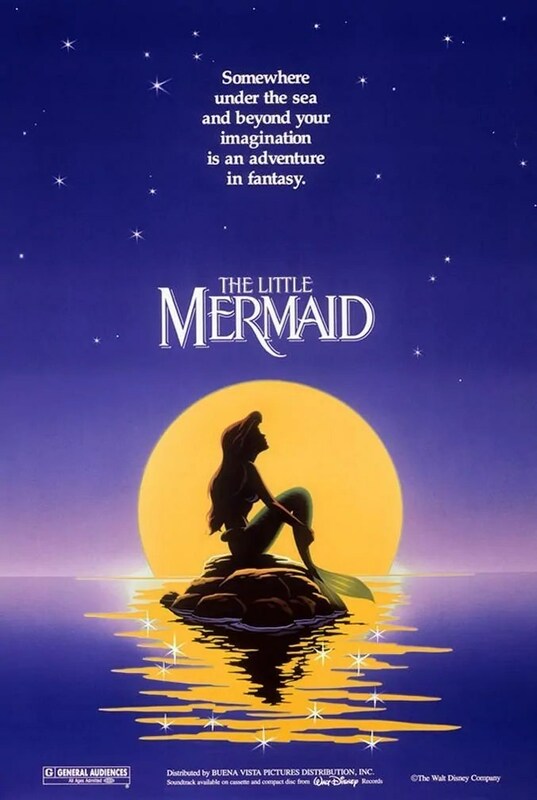 Seeing a change in his daughter’s behaviour, and believing her to have fallen in love with a merman, King Triton questions Sebastian about it. He informs the King of Ariel’s love for Prince Eric. Furious, King Triton heads to Ariel’s grotto, where she keeps all of her human artefact treasures and destroys them all with his trident. Distraught, Ariel seeks the help of the sea witch called Ursula, after being convinced by two of Ursula’s minions (Flotsam and Jetsam). Ursula agrees to change Ariel’s tail into legs for three days, so that she can go on the land and find Eric. But there is a catch; Ariel must exchange this spell for her voice… she will have only 3 days to make Eric fall in love with her, and receive a kiss of true love. If Ariel can do this, then she will remain a human forever. If she cannot, she will return to the sea, and belong to Ursula. As Ariel sings, her voice is transferred into a nautilus shell, and legs replace her tail. 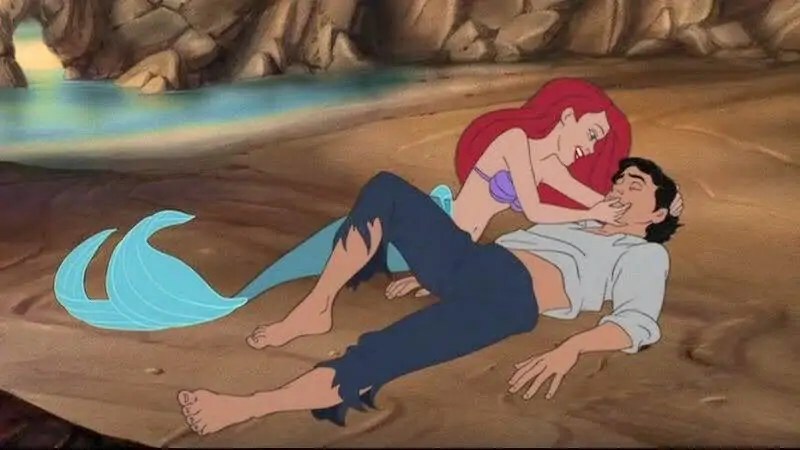 Flounder and Sebastian help Ariel to the surface, and Prince Eric finds her on the beach. He takes her back to his castle, and learns that she cannot speak – because of this, he doesn’t realise that it is her that saved him on the night of his birthday. 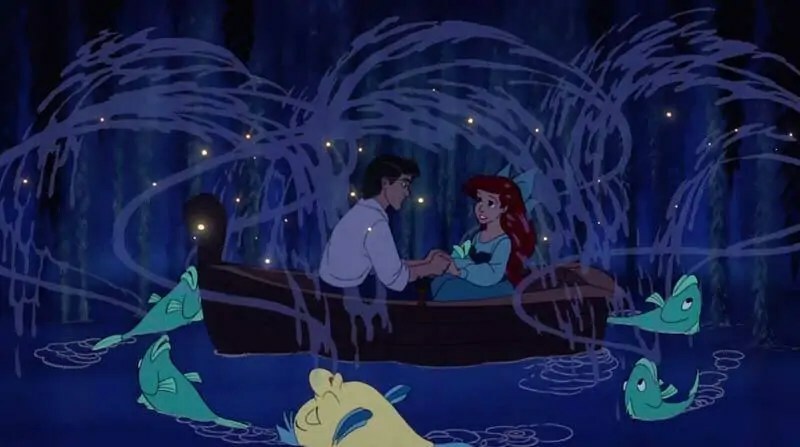 At the end of the second day, and with a little help from Sebastian to create the mood, Eric and Ariel nearly kiss, but their attempt is thwarted by Flotsam and Jetsam. Angry that she may not received Ariel as a slave, Ursula transforms herself into a human called Vanessa, and walks along the beach – using Ariel’s singing from the seashell in which it is stored. Eric recognises the voice as the one who sang to him, and falls under a hypnotic spell cast by Ursula. 28th animated feature in the Walt Disney Animated Classics series. Received 3 Academy Award nominations, winning Best Song for ‘Under The Sea’ and Best Score. Received 4 Golden Globe nominations, winning Best Original Score and Best Original Song for ‘Under The Sea’. Was the first Disney animated film to receive any Academy Award nominations since The Rescuers in 1977. This was the first Disney film to receive an Academy Award since Bedknobs and Broomsticks (1971), though other films had been nominated. Marked the start of the era known as the Disney Renaissance. Based on the fairy tale of the same name, written by Hans Christian Andersen. Originally, Sebastian was to have an English accent. It was lyricist/producer Howard Ashman who suggested he be Jamaican. This opened the door to calypso-style numbers like ‘Under the Sea’, which won the Academy Award. There are several shots of Ariel, sitting on a rock, in a pose reminiscent of the “Little Mermaid” statue that sits in Copenhagen harbor. The first Disney fairy tale since Sleeping Beauty (1959). This was the last Disney animated feature to use hand-painted cels and analog camera and film work. 1,000 different colors were used on 1,100 backgrounds. Over one million drawings were done in total. Scuttle: I haven’t seen this in years, this is wonderful! Sebastian: The seaweed is always greener / In somebody else’s lake / You dream about going up there / But that is a big mistake / Just look at the world around you / Right here on the ocean floor / Such wonderful things around you / What more is you lookin’ for? / Under the sea / Under the sea / Darlin’, it’s better / Down where it’s wetter / Take it from me / Up on the shore they work all day / Out in the sun they slave away / While we devotin’ / Full time to floating / Under the sea! Sebastian: Jeez, mon, I’m surrounded by amateurs. You want something done, you’ve got to do it yourself. Sebastian: First, we’ve to create the mood. Sebastian: There you see her / Sitting there across the way / She don’t got a lot to say / But there’s something about her / And you don’t know why / But you’re dying to try / You wanna kiss the girl. 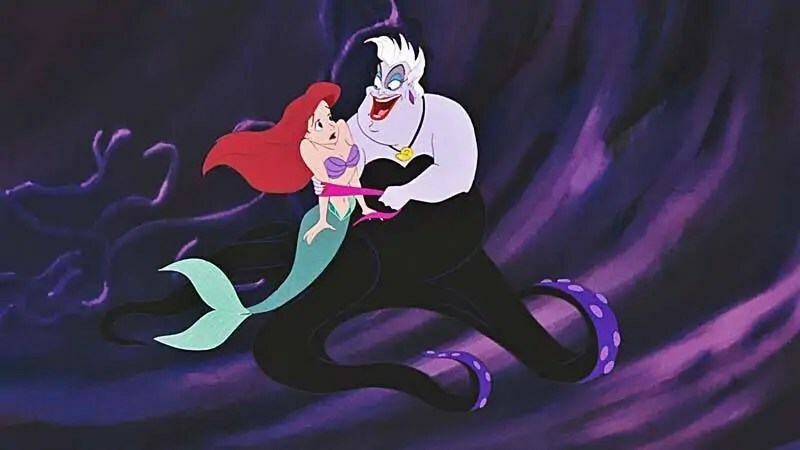 Jodi Benson as Princess Ariel and Vanessa, Ursula’s human alter-ego. The story – it’s a fairy tale classic, but with a happier ending. I grew up with an anime version of the tale, which is a lot darker than the Disney version. The songs – with the jaunty, calypso ‘Under The Sea’, the uplifting ‘Part Of Your World’, and the love song ‘Kiss The Girl’, it’s a musical dream. Sebastian – he’s a Caribbean crab, and has some amusing moments throughout the film. 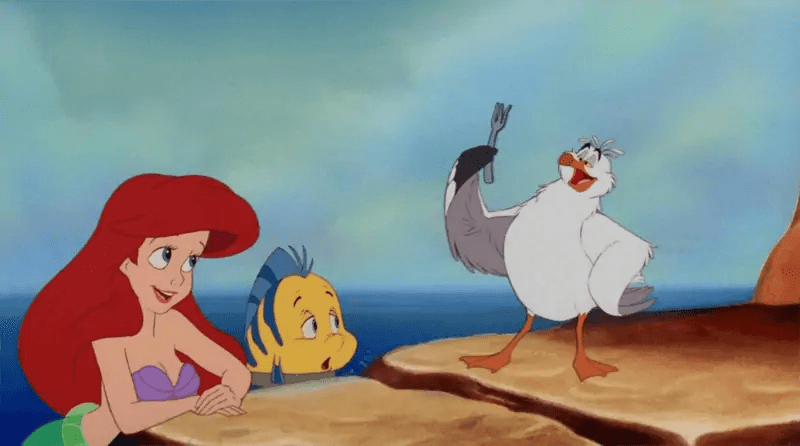 Scuttle – the all-knowing about human stuffs, seagull. Who doesn’t actually know much. I think he’s hilarious! Thanks for reading Day 60 of 100 Days of Disney 2015! 40 to go! Come back tomorrow for another Disney post! Such an amazing film. I still love it even though my little girl makes me watch it most weeks!!!! It’s a classic – I don’t think you can ever tire of them! This has always been one of my favourites and one of the films I know almost all the words too and thats not just the songs. That is a true sign that you love a film! It’s up there with my favourites too!